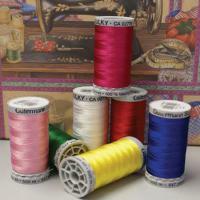 Gutermann Sulky Rayon 40 is a stunning machine embroidery thread with a 40 weight and a soft silky sheen. The lustrous finish adds luxury and a professional look to your embroidery and sewing projects, making it a popular thread in our Gutermann range. We offer both a 200m and a 500m reel size so no matter how large, you can rest assured you will have the thread for your project. 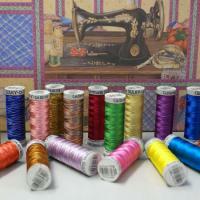 Sulky Rayon 40 is 100% viscose, making it an excellent quality durable thread with a stunning shimmery effect.